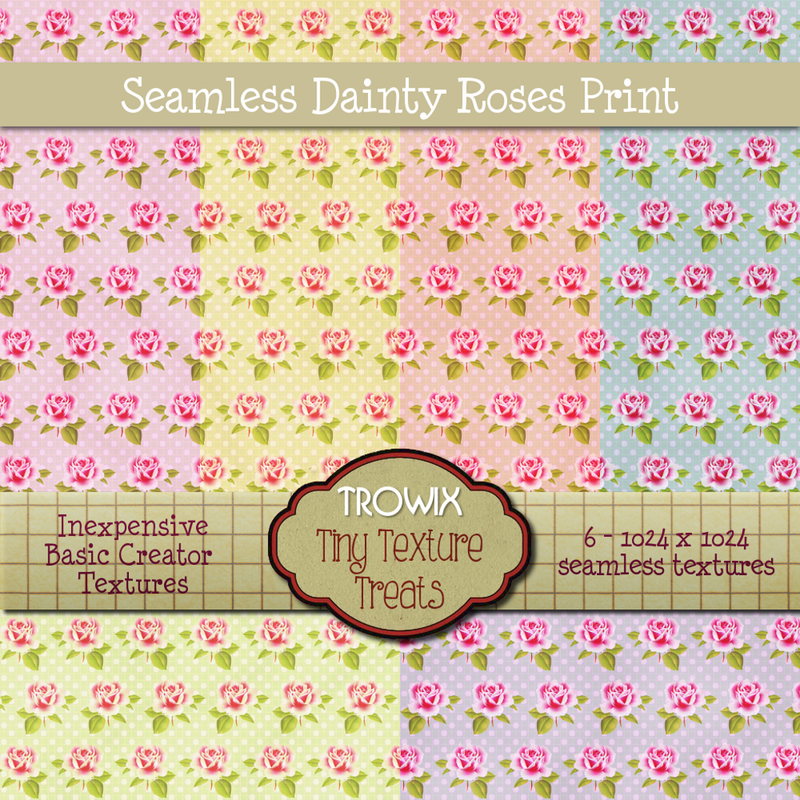 Dainty Roses – New prizes! 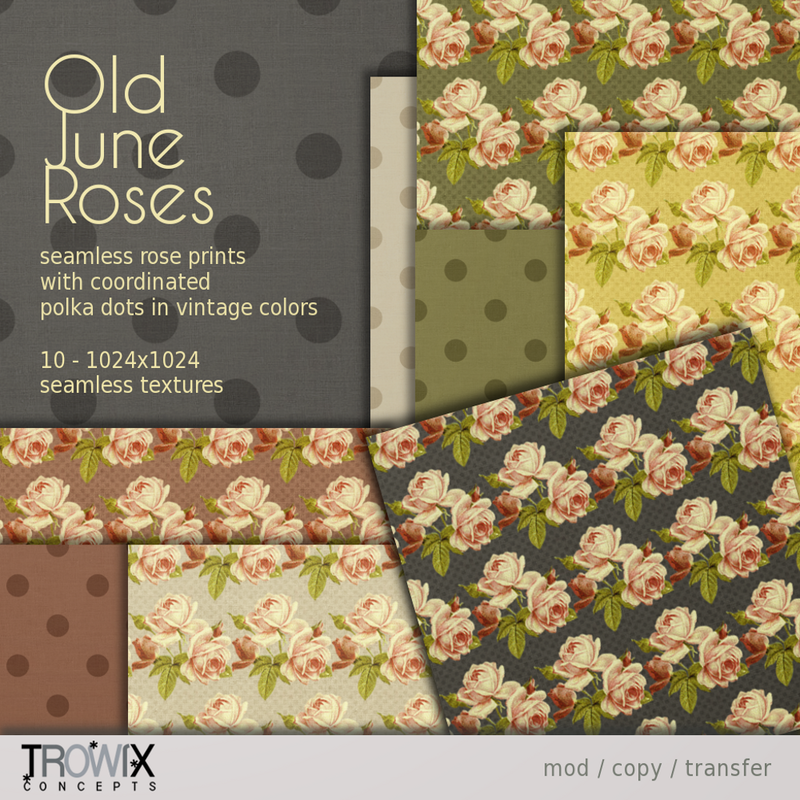 …and what’s cuter than tiny roses and polka dots? 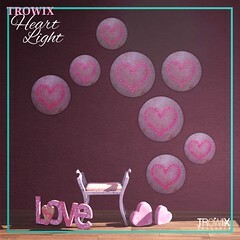 So we made up some rosy patterns in the Tiny Texture line and put them in the Magic Midnite board and the Lucky Stepladder! Get them free! or buy them from nearby vendors if your lucky stars are not working. Our MM board and Lucky Stepladder are located at the back of the store in the Lucky Corner. 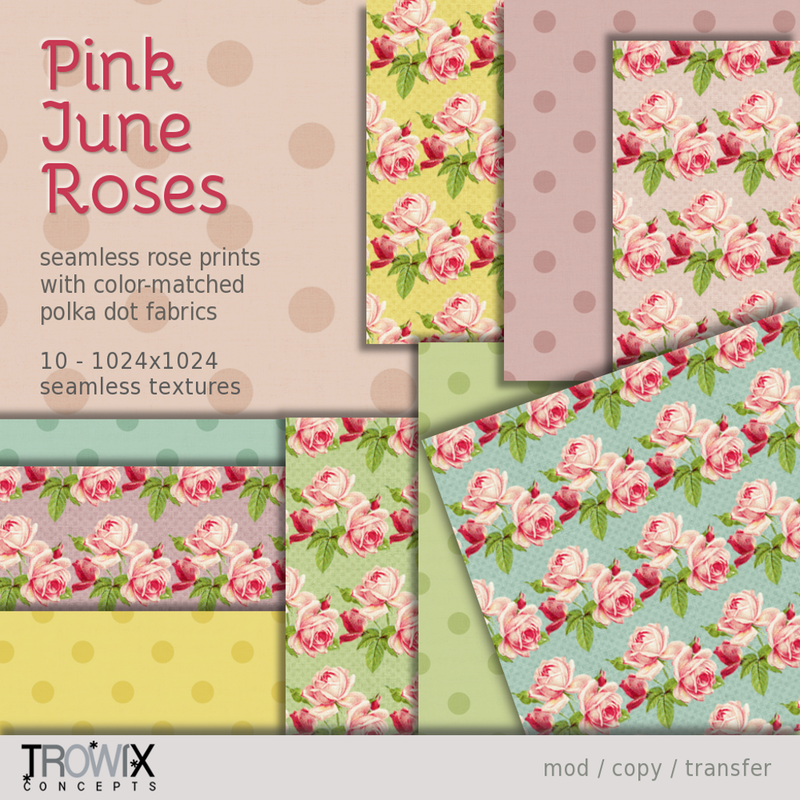 We also have these on Second Life’s Marketplace, Prints here and Stripes here. 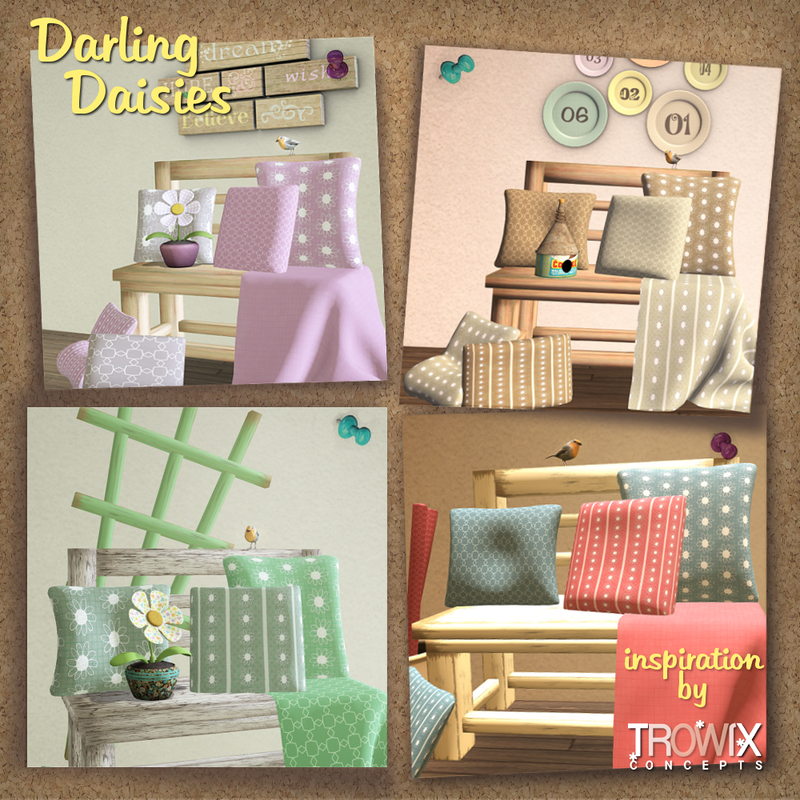 Cute scribbled daisies with a retro vibe in print and stripe paired with geometric patterns bold and subtle will look at home on picnic sets or sophisticated couches. 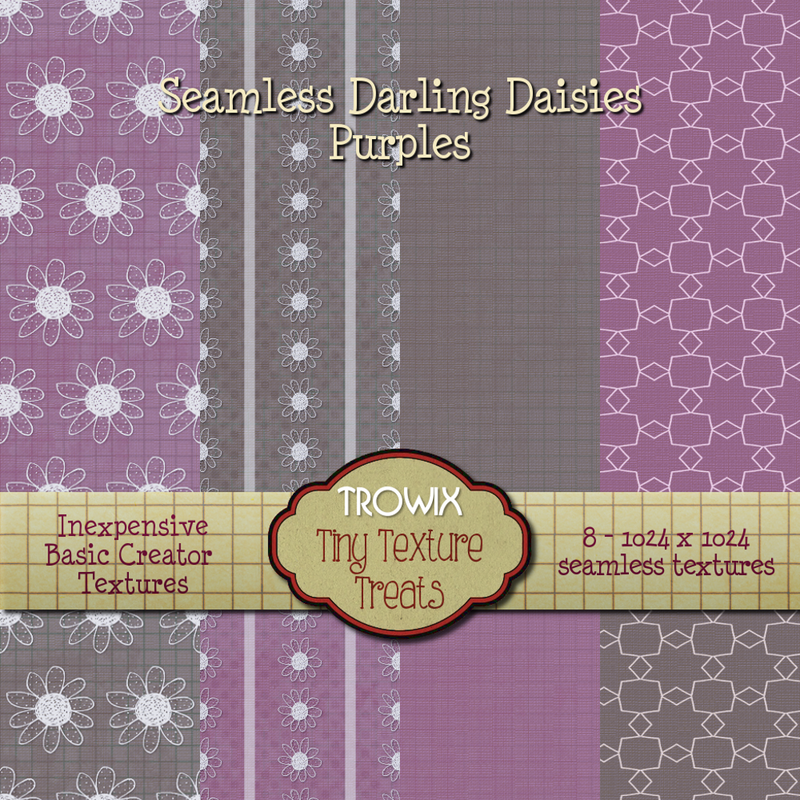 Tiny Texture Treats in 4 colors. 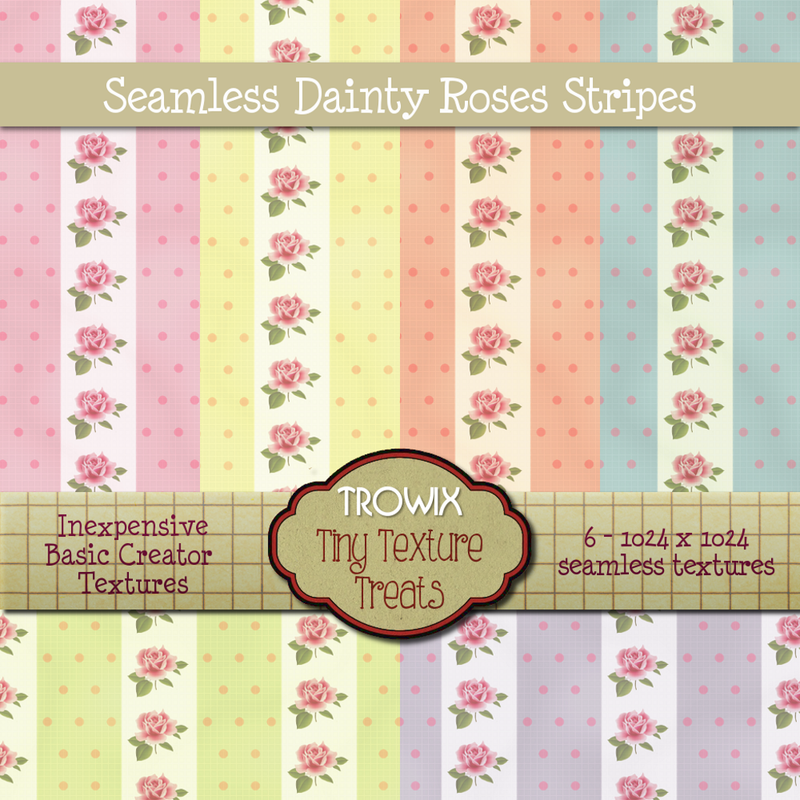 Don’t forget Tiny Texture Treats sell for crazy low prices and new ones are discounted, too! 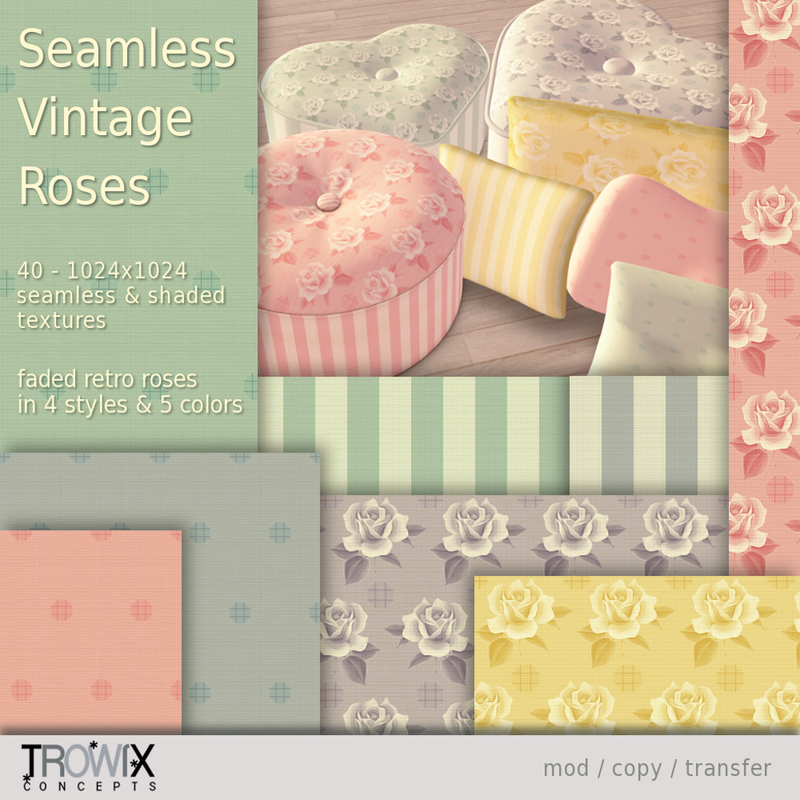 Each color pack has 8 1024×1024 seamless textures. 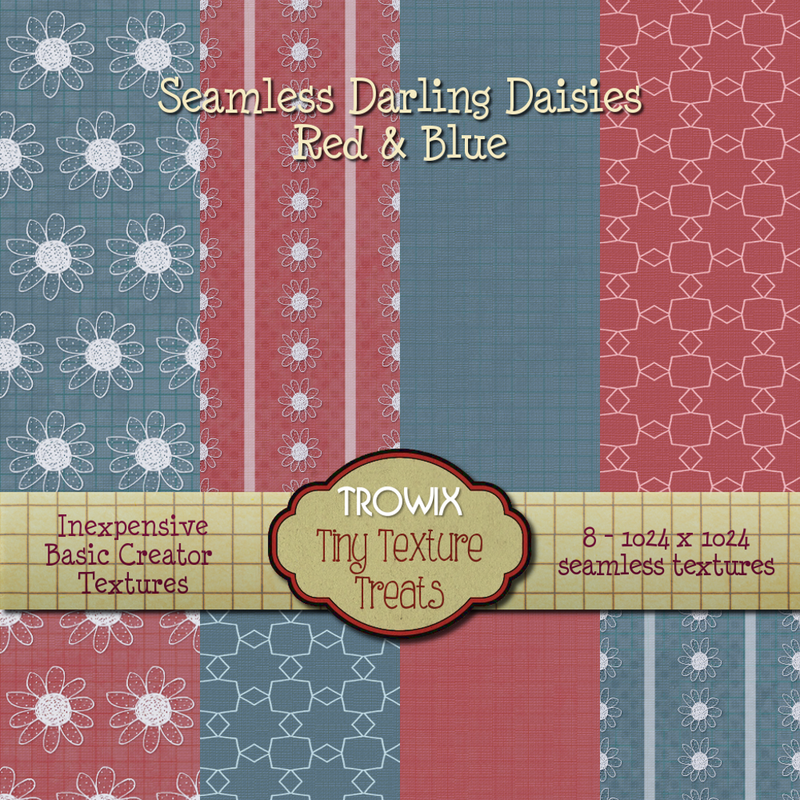 also on Second Life Marketplace: Greens, Red & Blue, Neutrals, and Purples. 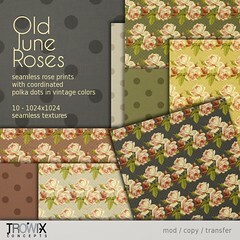 …loves me, loves me not, loves me.. !! 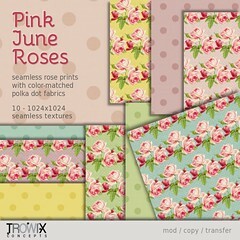 Another Texture Treat, this one with a Valentine theme. 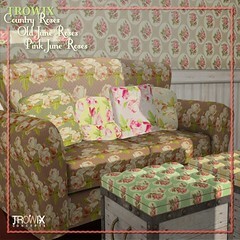 Used here on our retro chair and brand new mesh display crate. 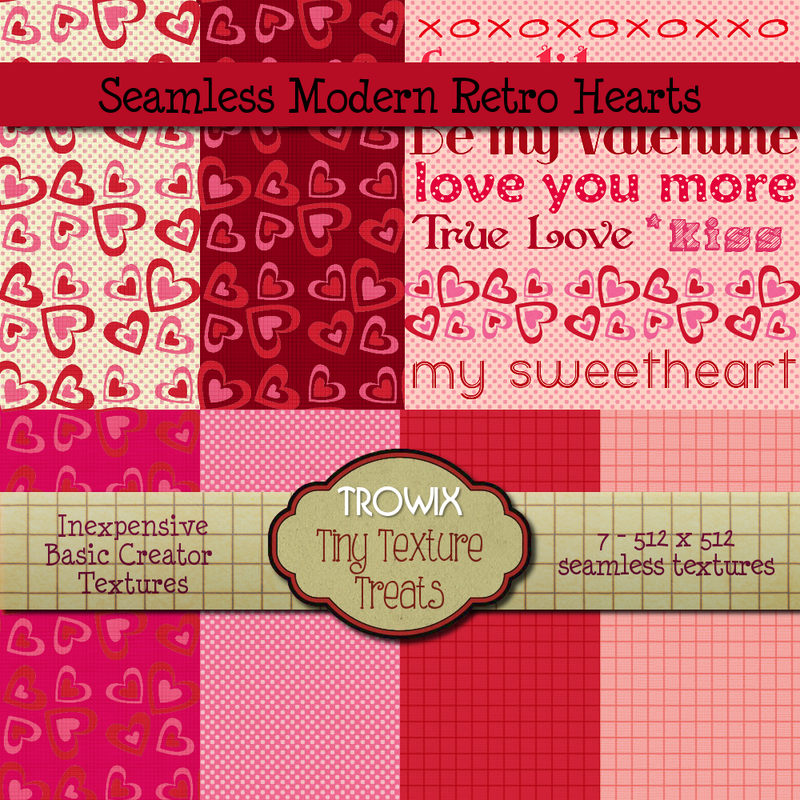 Seamless retro inspired heart prints and coordinates. Even a subway type love sign. 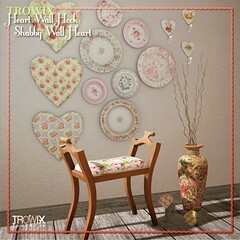 Just a little more love from Trowix. 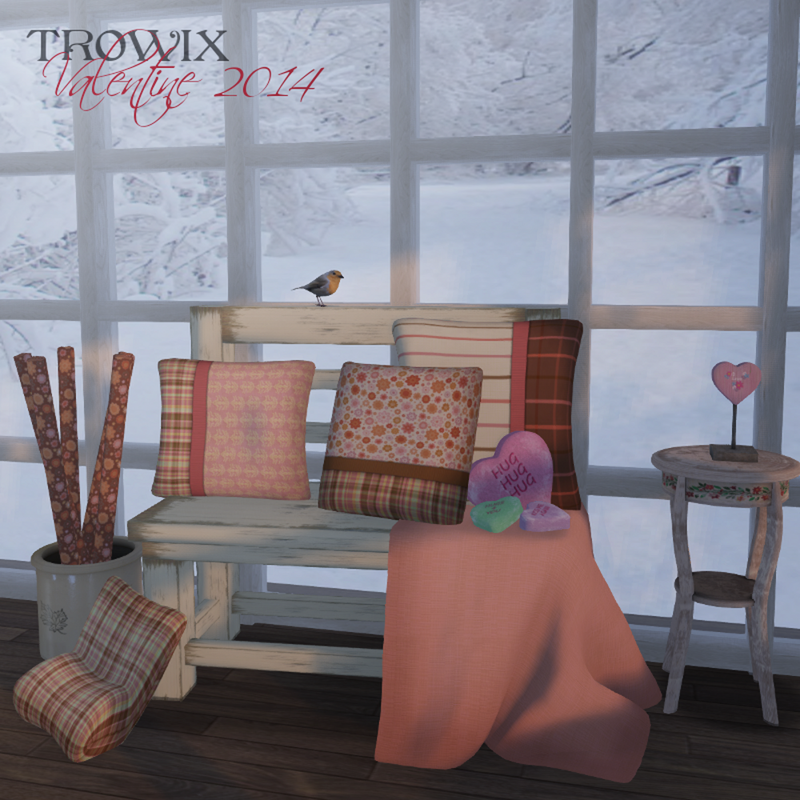 Available at the Trowix Barn and on SL’s Marketplace. 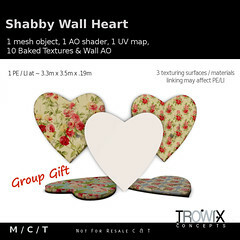 2 Past Group Gifts are now released. 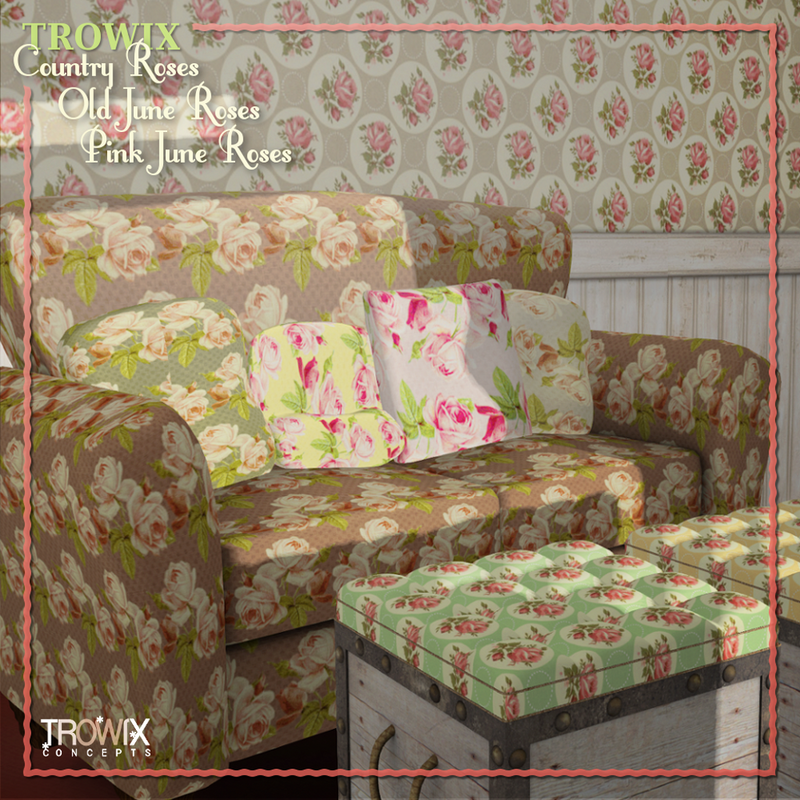 If you missed them, grab them now on discount. X and O, kiss and hug. 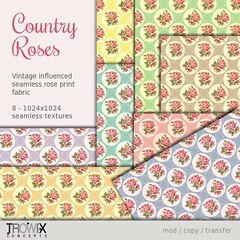 Now you can have lots of them for walls and tabletops. 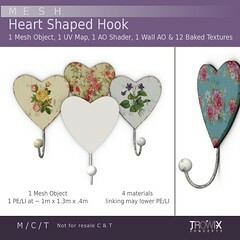 2 versions of this original mesh are included in the pack with AO shaders and realistic wall and floor shadows. Pillows! Don’t forget the comfy pillows. 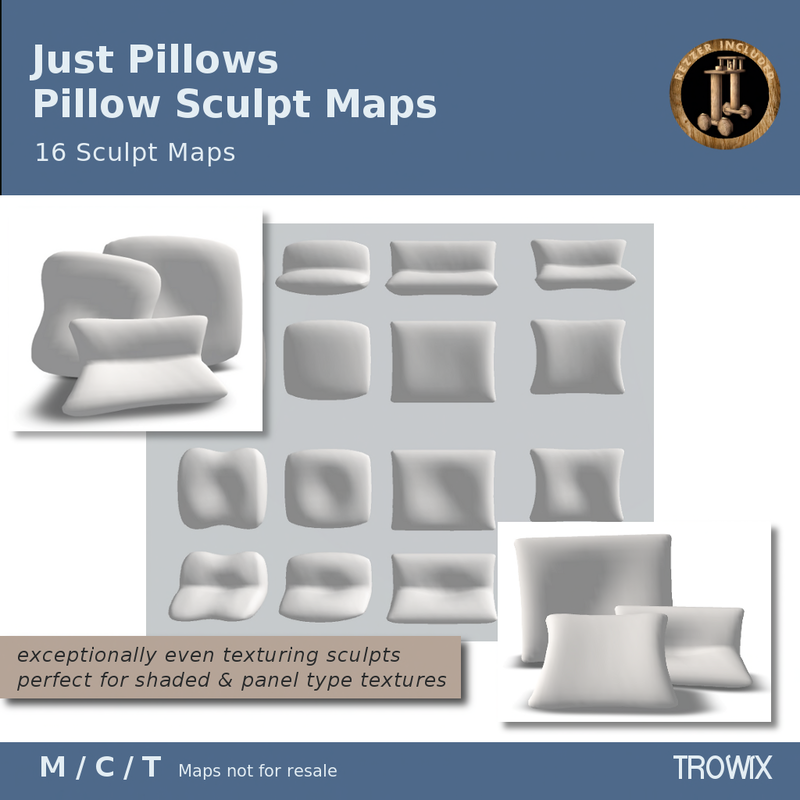 Wonderfully smooth texturing sculpts, perfect for showing off texture panels and dramatic shaded textures. 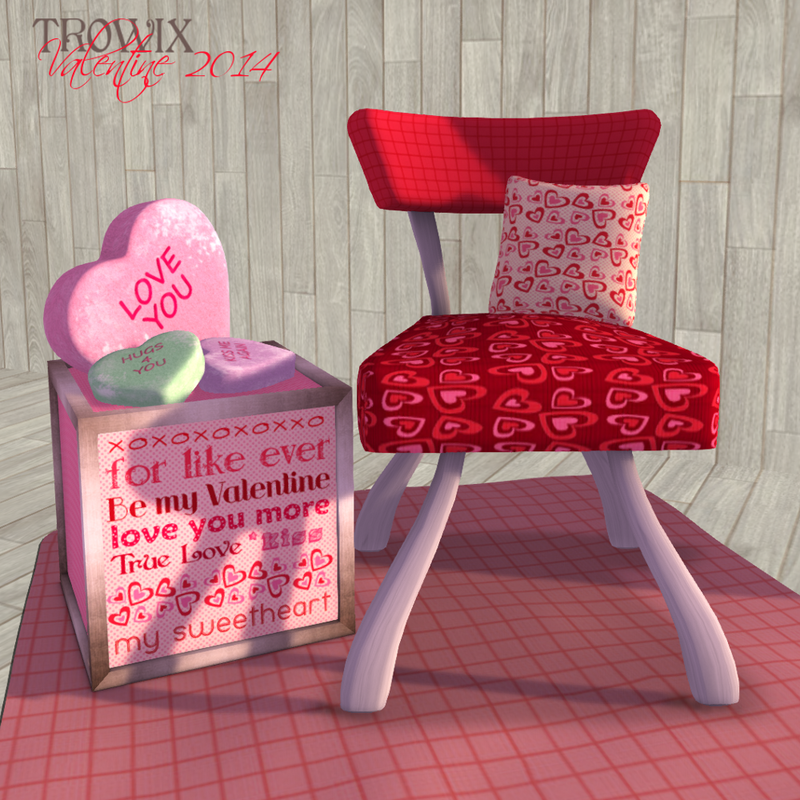 Lastly, a NEW Lucky Chair texture pack! 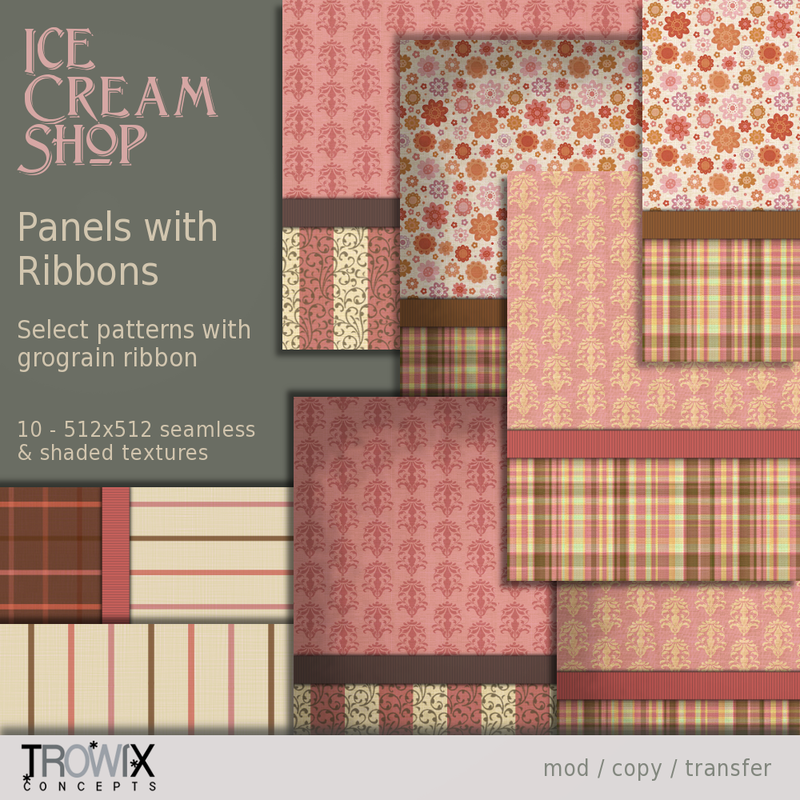 Selected textures from the “Ice Cream Shop” series all done up and tied with ribbon. Great for Valentine builds. Come try your luck or just purchase from the vendor nearby… but try your luck first! Just a few things to make your winter a little cozier. 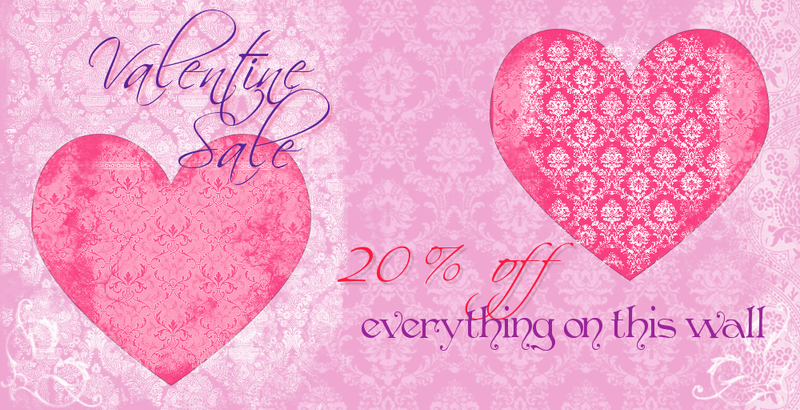 Valentine Sale – 20% off Creator Goodies! 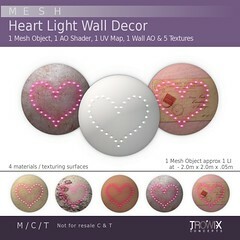 On our sale wall for the couple of weeks are popular full perm meshes, sculpts & textures to help with your Valentine builds. 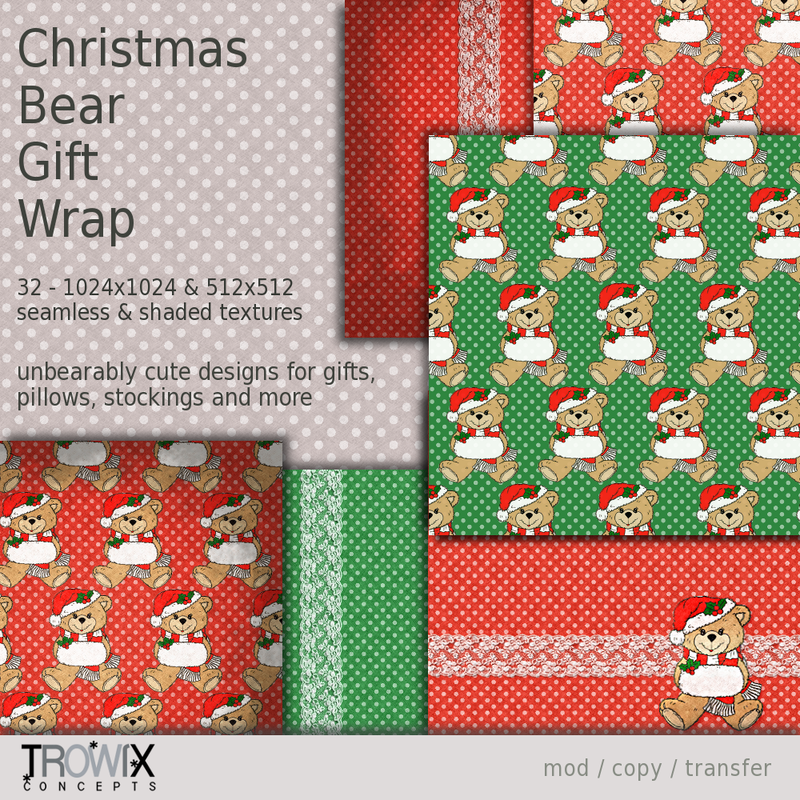 Holiday Gift Paper – Wrap it Up! 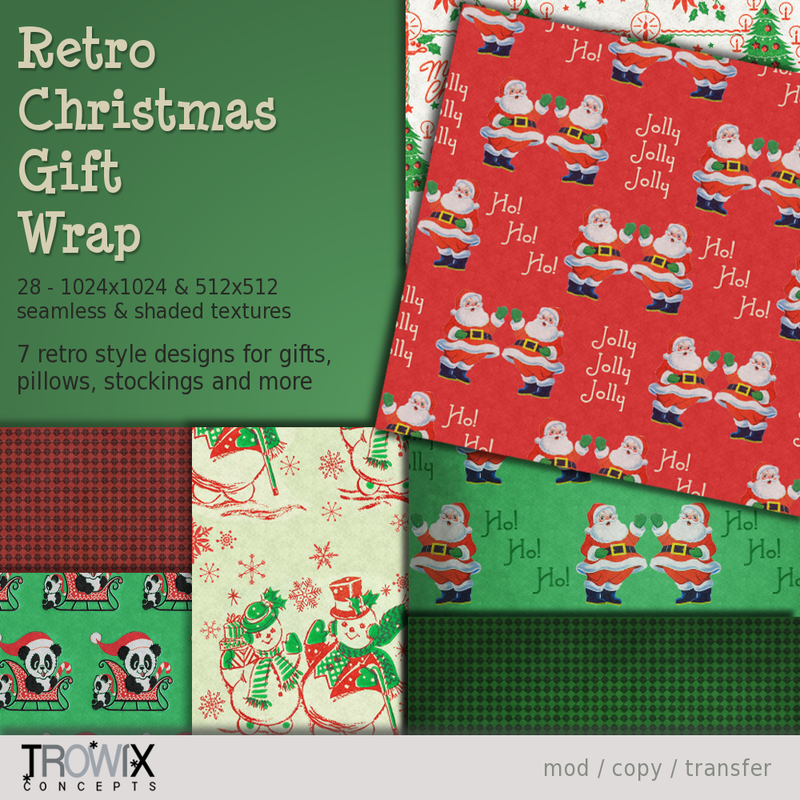 4 brand new, coordinated, seamless wrapping papers in 2 resolutions with and without shading. 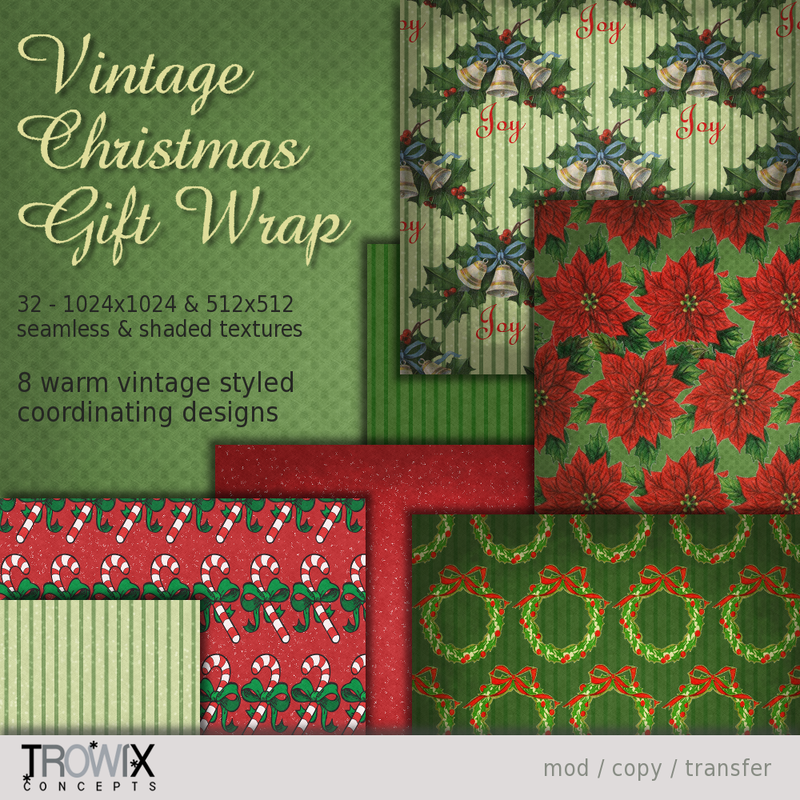 Whimsy, cute, vintage, retro – something for everyone! 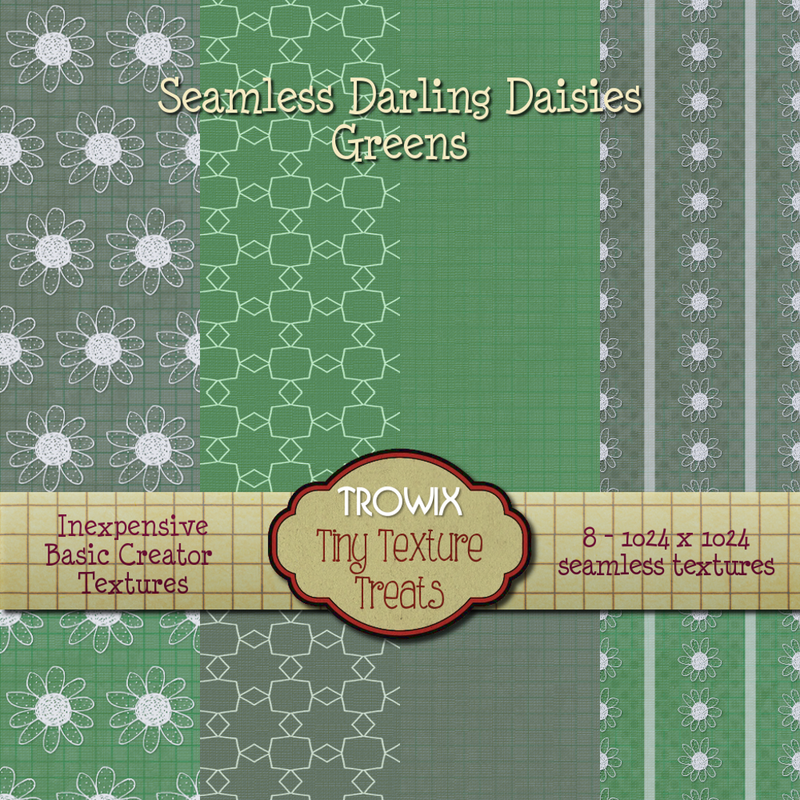 Brighten your Holidays with Trowix! 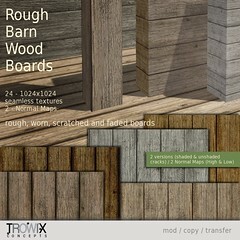 and on Second Life Marketplace. 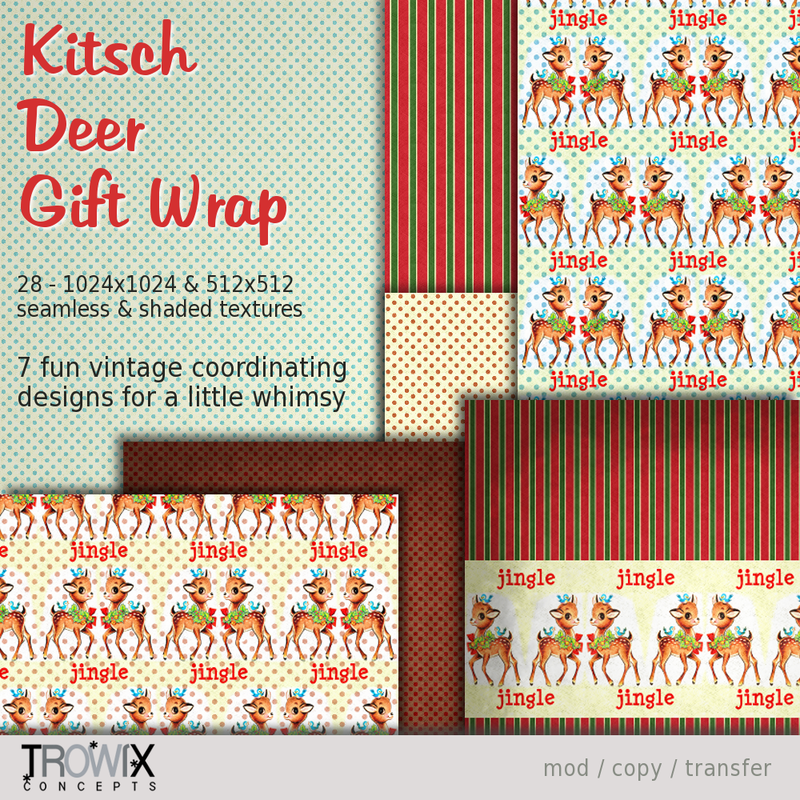 Bears, Retro, Vintage and Kitschy Deer. 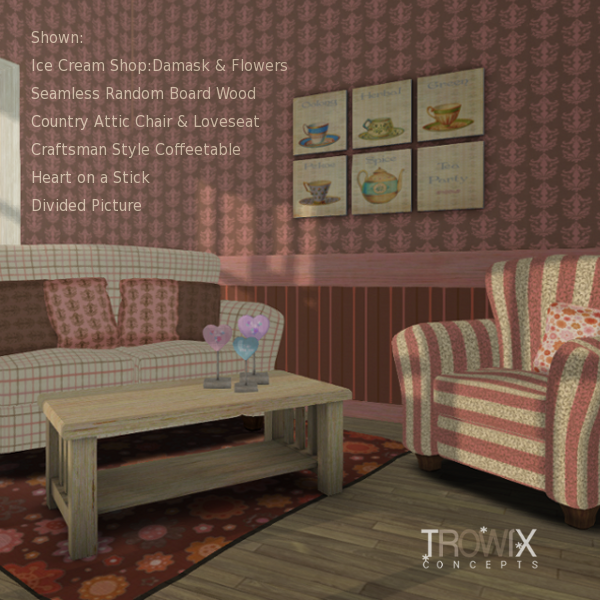 Ice Cream Shop – Fun Fall Look! I wanted to make a sweet, but not too sweet, build awhile back. 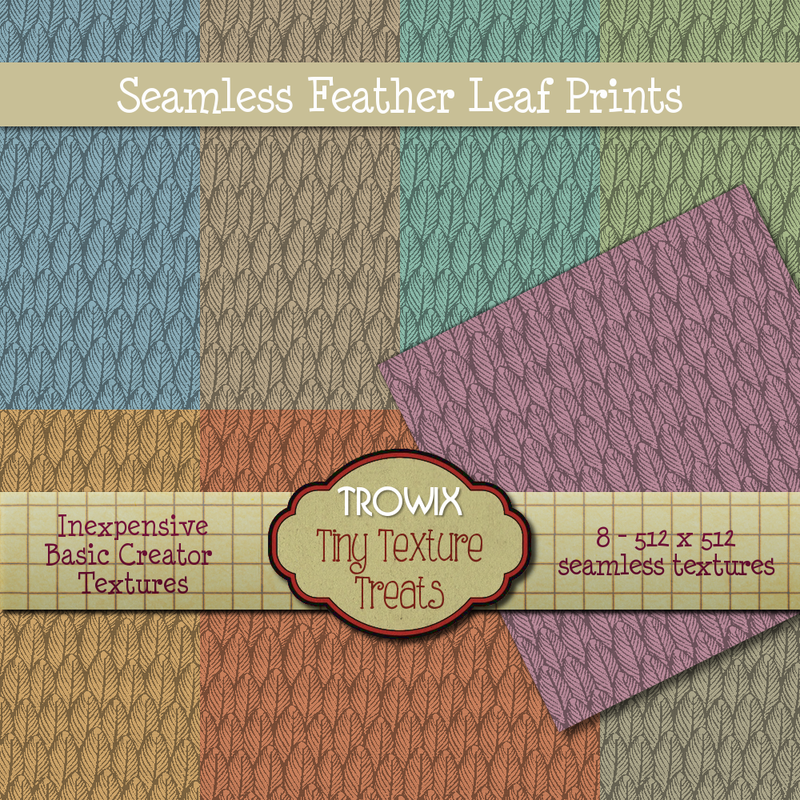 I started making textures for it… and just couldn’t stop. 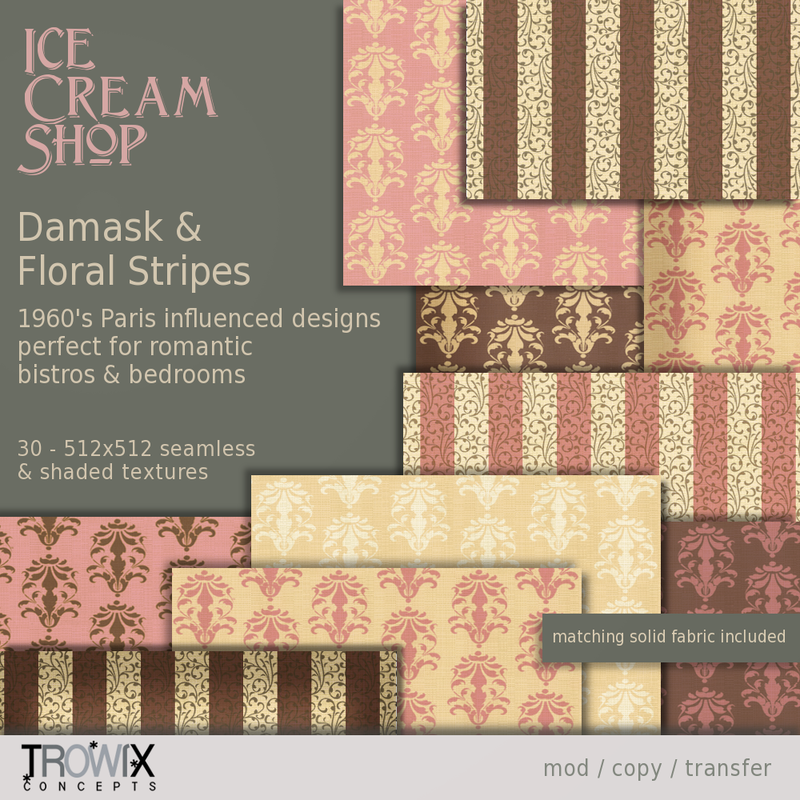 Loads of ice cream colors – vanilla, chocolate, caramel, strawberry. Take a look, it’s a fun and sophisticated Fall look! 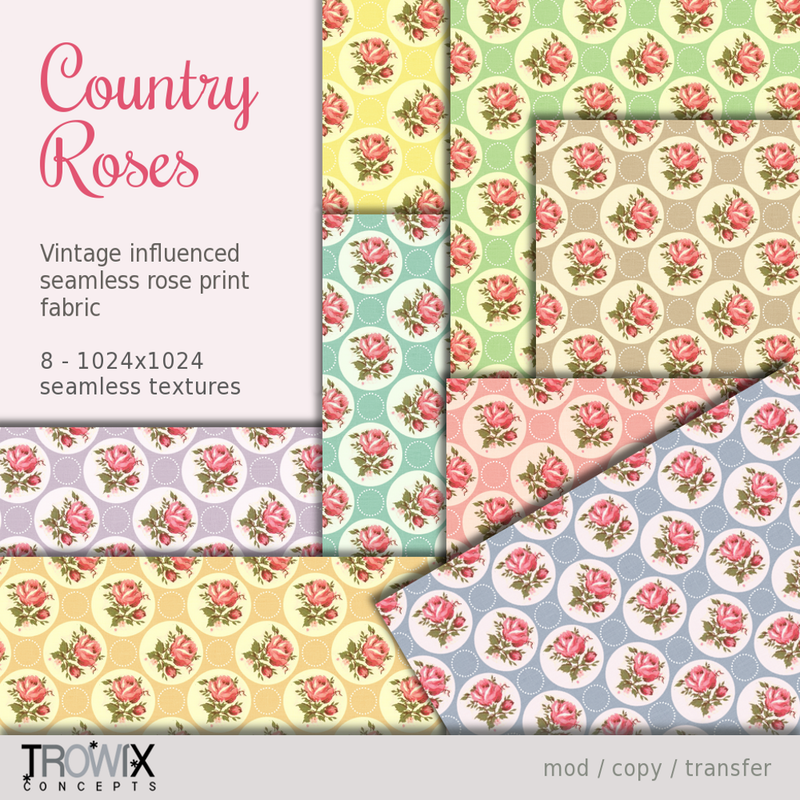 Inspired by 1960s colors in a Parisian style these seamless damasks and floral stripes are perfect for shops, romantic and Victorian builds. 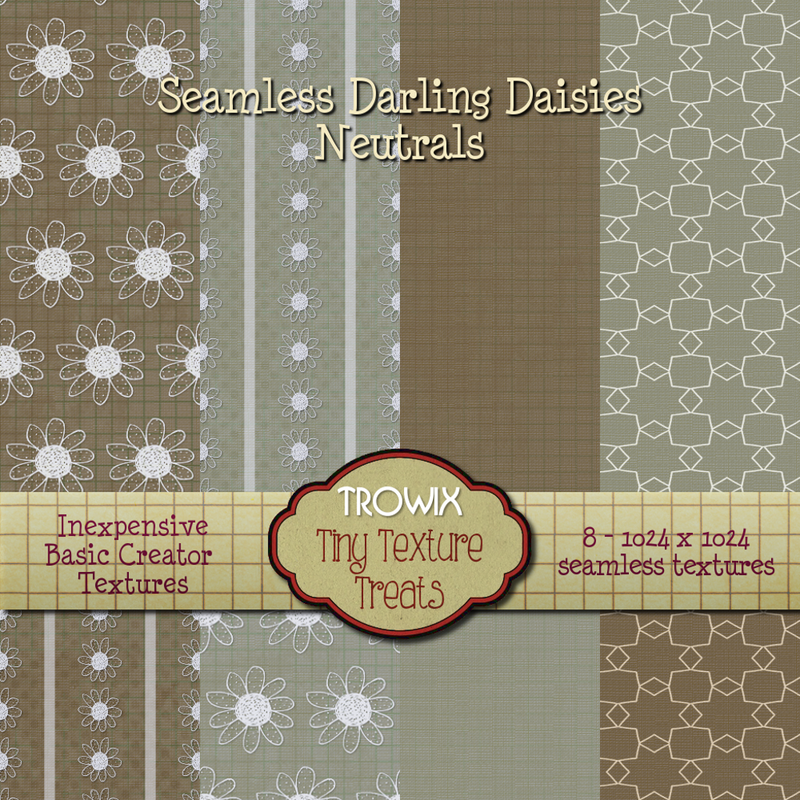 And another pack of textures a bit more modern in style with lots of chocolates and caramels. Yum! 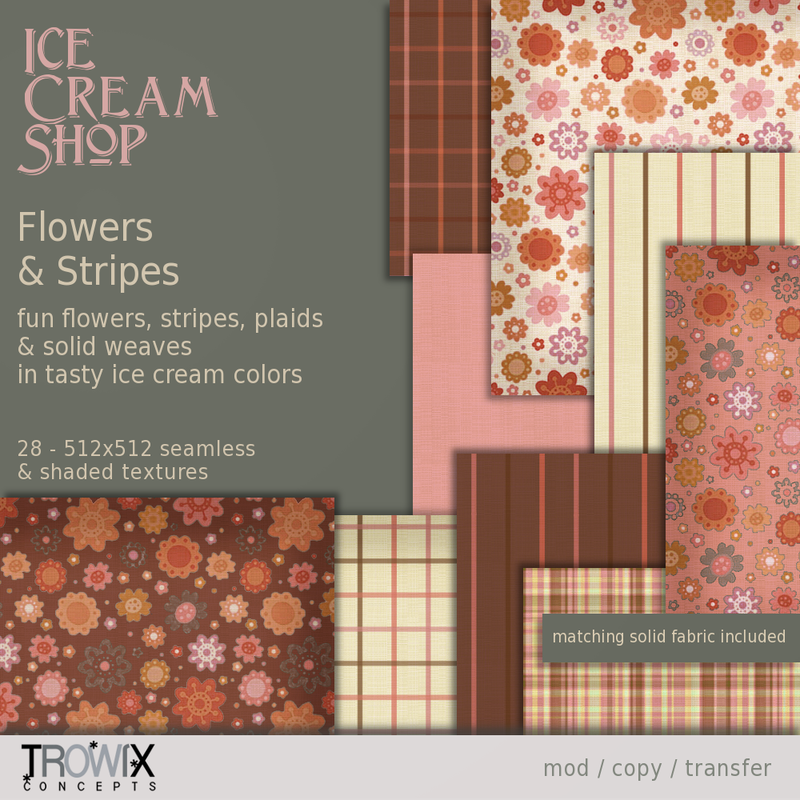 Fun modern flowers, plaids and minimalist stripes in tasty ice cream colors.